This was and still is miles better than his NuBreed effort imo. I've never really dug his NuBreed comp but this is very nice and much better than Danny's as well. A good mix of house and breaks that fits together perfectly. Well i enjoyed both releases, the Danny Howells Day mix was one of the best things i have ever heard, but i thought that the night mix was a little to linear & woody sounding for me. 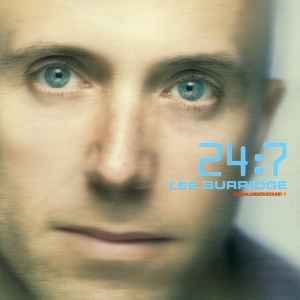 I was however a big fan of NuBreed 5 by Lee Burridge, and was very excited by the prospect of a 24:7 mix by Lee. I prefer the day disk, and the whole mix is good, but not built to last. I still go back and listen to Danny Howells 24:7 Day mix a lot, but unless your a massive Burridge fan then this is not much better than average. But still an interesting listen. But still eagerly awaiting to hear any news of a 3rd in the series. A James Zabiella one would be nice, please!!!!! This is miles better than Danny Howell's effort in my opinion. His was incredibly dull. Danny Howell's Nubreed was, however, very good, as long as your still into prog. Lee Burridge blends house and breaks to great effect. I prefer this to his Nubreed mix as I think it varies more and is more chilled. The Tempo is a little slower. I agree that there isn't much difference in tempo and style between the night and day disks. There certainly is a distinction betwen the 2 CD's in Danny Howells 24:7, but the whole thing definately made me feel like it was nightime, because I nearly fell asleep! I had really enjoyed GU 24:7 debut featuring Danny Howells. I loved it so much, I couldn't think straight when I heard they're releasing another one. I finally got it, and it was probably the most disappointing GU release after NuBreed 005, incidently also by Lee Burridge. The first track, "Liquid" by Logic Box intro's almost the same feeling as the first track of Danny Howells' 24:7, however, it all goes downhill from the next track onwards. A few tracks on the Night disc are worth a try, like Taka Boom and Chaka Khan's "Groove Like This (Koolkingmuthaf*ckindjonionzmix)", however, they don't salvage the s(t)inking release. There was hardly any Day/Night distinction in the 2 discs either.